Lately, we have been trying to incorporate fish into our diet at least once a week. We seem to default on baked salmon as it is something that everyone seems to enjoy. Typically this salmon is a pretty big slab of fish, so there is plenty of leftovers for my wife to bag up for lunches throughout the week, or for me to make a quick brunch snack, or light lunch. So as I had both leftover baked salmon, and some leftover day old rustic bread, I decided to make a great salmon crostini. I thought this would be a great use of my leftovers as well as being able to use up some dill from the garden. These salmon crostini were not only super easy to put together, but whoa were they ever delicious. Once your bread is lightly toasted, rub the clove of garlic on the bread to infuse that garlic onto the toast. 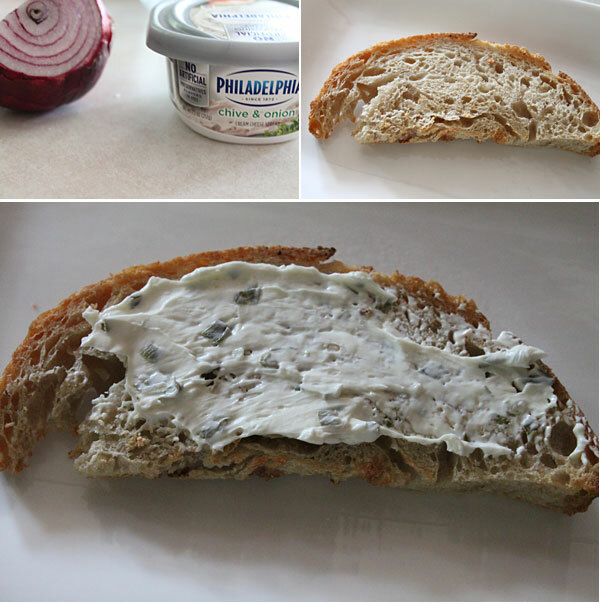 Once you are done with that, spread on the cream cheese. Top with the flaked salmon, then add the red onions, and fresh dill. Now you are ready to serve. I thought I was just going to eat one of these, but it was so good I decided to make one more. 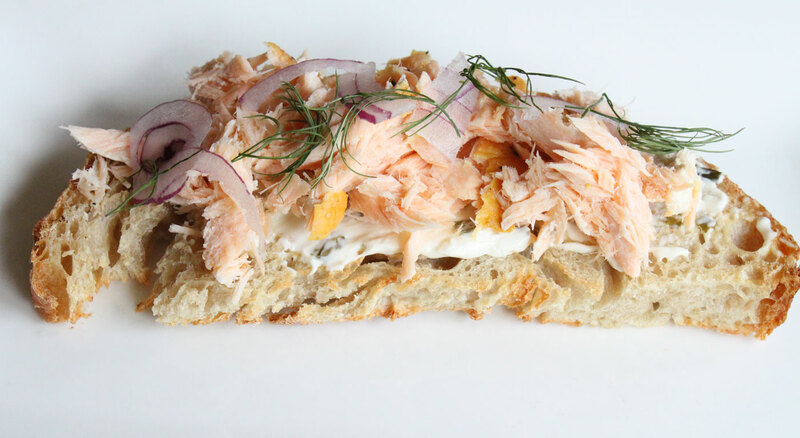 The lightly garlic toast coated with that cream cheese (which I never really buy), and topped with that salmon, along with the red onion and dill?! C’mon, it’s an awesome bite and would be a perfect holiday appetizer or game day snack. I hope you enjoy!